New York, NY—PhotoPlus Expo announced its second annual photo contest, titled Perspectives. The contest theme is an international celebration of the human experience. Photographers are being called to enter their best photos that capture the theme Perspectives in the following categories: portraits, street photography, food photography, architecture and landscapes. Submissions for the competition are now open, and the deadline for entries is September 14, 2017. Grand prize winners in the professional and amateur categories will each receive a trip to Germany to attend photokina 2018 in Cologne. Moreover, they can opt for a trip to PhotoPlus Expo in New York City in 2017. In addition, all contest winners will be featured in the PhotoPlus Expo Show Guide and the Perspectives international traveling exhibit. The exhibition, which will include honorable mentions, makes its debut at PhotoPlus Expo in New York on October 26, 2017 and runs through October 28 at the Javits Convention Center. It will then travel to photokina (Germany), FHOX (Brazil) and CPPS/Studio of Masters (China). Moreover, several photographic manufacturers will provide hundreds of dollars in prizes to many of the contest winners. This year’s prize sponsors include Fujifilm, OmegaBrandess, Red River Paper, Ikan Corporation, Iris Works, Drobo, PRL Lighting, LaCie and Mini Wing USA. The contest is also sponsored by FHOX, an international photography organization and magazine that promotes the work of photographers worldwide, the China Portrait Photography Society (CPPS), and Studio of Masters. They are responsible for the growth of the portrait photography industry throughout China. The call for submission is now open for the Perspectives photo contest. 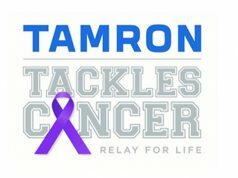 There is a fee of $20 per professional entry and $15 per amateur entry for each photo entered. Contestants may enter as often as they would like. PHOTO+ members will receive a 30% discount for each photo entered. To enter the PhotoPlus Expo photography contest or see the full contest rules, go to contest.photoplusexpo.com. PhotoPlus Expo is designed for professionals in the photographic and imaging industries as well as enthusiasts. The event showcases the latest advances in photography, digital imaging and filmmaking. 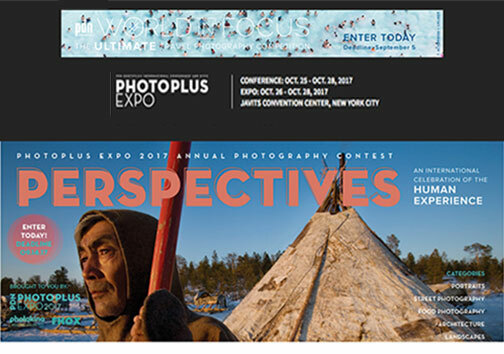 PhotoPlus is held annually at the Jacob K. Javits Convention Center in New York City. 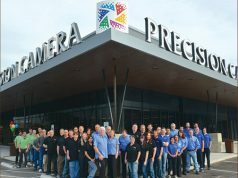 The event offers attendees the opportunity to explore inspiring photo-imaging products as well as services from leading manufacturers. PhotoPlus Expo also offers seminars, intimate photo walks and Master Classes taught by world-renowned experts. The classes focus on cutting-edge innovations and techniques.